Join us in supporting Duke Children’s Hospital as we take part in Extra Life 2014! 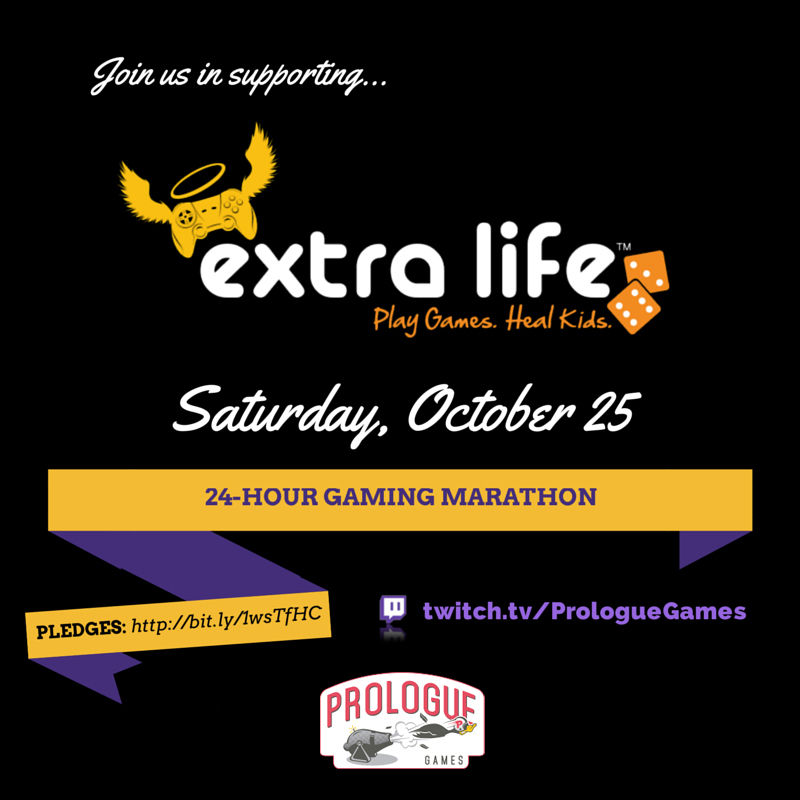 This Saturday starting at 9:00am Eastern, the Prologue Games team will be embarking on a day-long gaming marathon. Every penny pledged to our team will be donated to Duke Children’s Hospital to fund their healing work. It’s an important cause and we’re eager to wield our controllers in support. Duke kids need your support, too—bolster our effort by donating to the cause via our team page. Tune into the Prologue Games channel on Twitch this Saturday to catch the team in action. We’ll be streaming gameplay, posting highlights to our blog, and sharing photos and other tidbits on Tumblr. Hope you’ll join us Saturday!